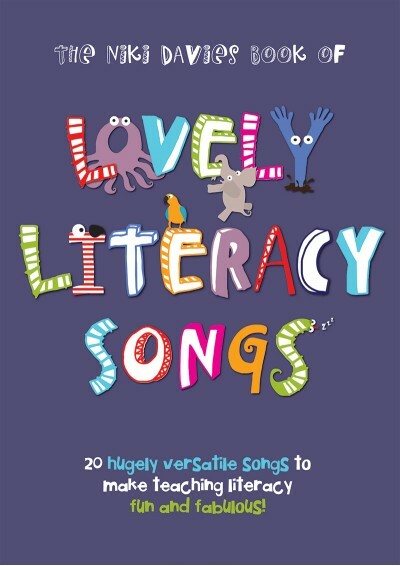 Bring literacy to life with this exciting collection of 20 catchy songs that will have your class rhyming, segmenting, blending and creative-writing in no time! Available with Words on Screen™ v2. Written specifically for 3 – 7 year olds, this wonderful variety of literacy-themed songs are fun to sing and easy to learn. With scope for including children's own rhymes and words, this valuable resource is packed full of phonemes, onomatopoeia, homophones, verbs and compound words, and if that's not enough to get you H, H, H, H, H, Huffed Out, the selection also includes a delightful journey to Rhyming Land and a fabulous hunt for an octopus. 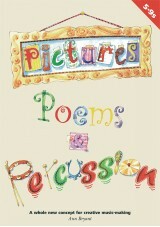 The Niki Davies Book of Lovely Literacy Songs is curriculum based to support the teaching of literacy. So whether you want to give yourself a P-A-T on the back and a T-A-P on the knees, or learn a few of those difficult-to-spell words, this really is a fantastic selection of lovely literacy songs! 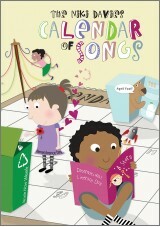 The Niki Davies Book of Lovely Literacy Songs is now an award-winning title. I'm H, H, H, H, H, Huffed Out! It's Great When You Know The Alphabet! This book of simple songs is aimed at developing understanding of story building and word use, and offers a creative way to help children with a preference for auditory learning. The book is marketed for children aged between three and seven years, but we felt that its emphasis on areas such as story beginnings, verb and adjective use and rhyming words would be suited to older Reception and Year 1 children in particular. This is a nice resource with a useful CD included that could help to make literacy lessons much more exciting.